It's easy to create a lasting family heirloom. 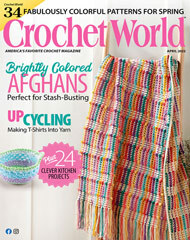 Just follow our step-by-step directions for a dramatic crocheted masterpiece. Size: 12 1/2" diameter.